Never doubt the intelligence of a group of chimpanzees! 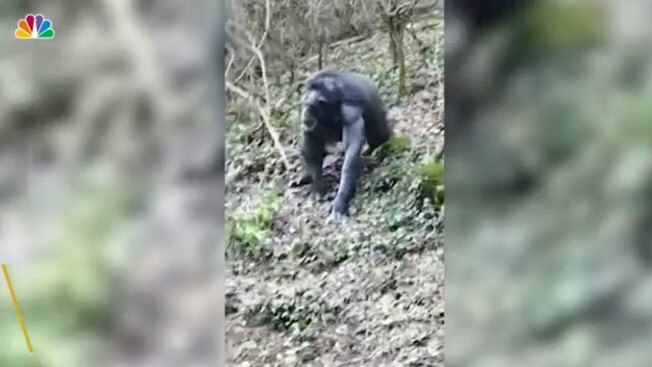 Zookeepers say a few chimps used branches to make a ladder and escape their enclosure at a zoo in Northern Ireland. "Don't escape, you bad little gorilla!" cries a girl heard in the video.